Although a master’s degree in psychology is good enough for some entry-level positions, most individuals choose to complete a doctoral program in psychology before entering the field. Most research, clinical and counseling psychologists need a doctoral degree. Typically, candidates complete a one-year professional internship during their curriculum. School psychologists normally need an advanced degree such as an ED.S. degree or a state license to practice. Individuals who successfully complete a master’s degree in psychology may be able to work as industrial psychologists or as psychological assistants in various clinical and research settings, under the direction of a PhD psychologist. Earn a college degree in psychology and help people suffering from psychological disorders. Some universities or colleges may give preference to students with previous coursework or degrees in psychology or work experience in the field, during the admission process. The curriculum is rigorous and research-based. It provides in-depth knowledge to the students about theories of psychology, human behavior and various psychological functions of the human mind. The curriculum may also include an internship, externship and a doctoral residency, instead of a dissertation project. An externship normally requires the student to complete a specific number of hours in research-based settings, while an internship requires completion of professional experience under the supervision of a practicing psychologist in a hospital or a clinic. During a doctoral residency, a student is involved in conducting research under the supervision of a doctoral psychologist. Almost all states, require an individual to obtain a license before practicing as or using the title ‘psychologist ‘. To acquire a state license, an individual has to fulfill the state’s criteria, which may include passing a written examination, years of professional experience and academic requirements. Most states also require psychologists to undertake continuing education courses in order to retain their license. Very few hospitals and clinics may require a psychologist to have acquired certifications; certifications may otherwise display professional competency. The American Board of Professional Psychology provides several certifications in various sub-fields of psychology, such as rehabilitation and clinical health. Psychologists get most of their professional training during the doctoral program, when they complete internships and externships. How to Become a Psychologist in Texas? To become a psychologist in Texas, you need a 4-year Bachelor’s degree in Psychology or a related field. However, depending on undergrad coursework, a BS degree in other fields is acceptable too. After that, you need a Master’s degree in Psychology or Applied Psychology followed by a PhD. A provisional Texas psychology license, subject to passing the licensing test, will be issued once you gain 2 years of supervised professional experience (SPE). You can then apply for your full practicing license. How to Become a Psychologist in California? To become a psychologist in California, a 4-year BS degree in Psychology is needed. An undergraduate degree in a different field is also acceptable depending on the courses completed. You will then need to complete your Master’s and PhD in Psychology or Applied Psychology. Next, you must gain two years of supervisory professional experience and take all mandatory pre-licensure courses required by the California Board of Psychology. You must then pass the board’s requisite exams to obtain your practicing license. How to become a clinical psychologist? How to become a forensic psychologist? How to become a criminal psychologist? How to become a sports psychologist? How to become a school psychologist? How many years does it take to become a psychologist? Should i become a psychologist? Q:How to become a clinical psychologist? Q:I can choose to become a psychologist in which different specialty areas? Q:How to become a forensic psychologist? A:You must follow the educational steps and fulfill the licensing requirements in your state. 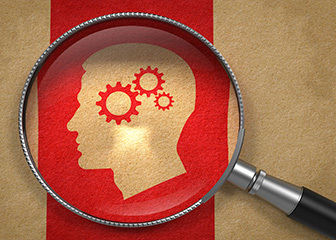 To practice as a forensic psychologist, you will need to complete a bachelor, masters, and doctoral degree in the field. These programs will help build a strong foundation of knowledge and will equip you with advanced skills. Before you can apply for a license, you may have to complete an internship program and gather work experience according to your state’s requirements. To improve your career prospects, you can also apply for professional certification in forensic psychology offered by The American Board of Professional Psychology (ABPP). (Sources: US Bureau of Labor Statistics and The American Board of Professional Psychology ABPP) . Q:After completing the educational steps to becoming a psychologist, how do I get a license? Q:How to become a criminal psychologist? Q:How to become a sports psychologist? Q:After becoming a clinical psychologist, what will my job be like? Q:How to become a school psychologist? Q:Do I need a certification for becoming a child psychologist? Q:How many years does it take to become a psychologist? Q:What is the minimum schooling to become a psychologist? Q:How do you become a psychologist? Q:Should i become a psychologist? Q:What does it take to become a psychologist? Can you tell me about the skills I need? Q:Can you tell me how to become A psychologist? A:In order to become a psychologist you need to complete extensive training and education. Most psychologists need a doctoral degree to practice. After finishing your education, you will also need to obtain a license in order to practice from the state in which you plan to work in. To get a license, candidates must have completed either a residency, internship, or a supervised pre or post doctoral program. The American Board of Professional Psychology awards certifications in 13 different fields of psychology. Q:How to become a psychologist without a psychology degree? A:You cannot become a practicing psychologist without a psychology degree. You will have to study psychology at graduate and post-graduate level. Advanced psychology degrees are being offered by many renowned schools. These programs will equip you with in-depth knowledge about the field. Apart from education, you must also acquire a license and meet the minimum requirements of the state. Q:How to become a psychotherapist? A:Requirements for becoming a psychotherapist might vary on some aspects, but on the whole, every state requires a graduate degree, typically a doctorate, in clinical psychology, clinical social work or counseling, with emphasis on psychotherapy. Once you have completed the education requirements, you will need to take the Examinations for Professional Practice in Psychology (EPPP). Every state requires psychotherapists to obtain a state license before they can practice. Q:How to become a therapist? A:There are many degree paths that lead to the career of a therapist. The first step is to earn a bachelor's degree in psychology. However, students with degrees in other majors might be accepted into graduate training programs if they have completed the prerequisite coursework. A more advanced degree in psychology opens up a wider variety of career options. You could go for a Ph.D. or Psy.D. in Psychology, which will take nearly four to eight years beyond your undergraduate. You could also go for other degrees such as a master's in psychology, a master's in counseling, or a master's in social work. Q:Can you give me information on how to become a psychologist in a hospital? A:In order to become a psychologist in a hospital, you must acquire training and specialized education. You must first complete a bachelor's and master's degree in the field of psychology. After that, you will need to complete a doctoral degree in clinical psychology, complete a 1-2 year professional internship program and then pass the Licensing Examination for Professional Practice in Psychology. The field also requires you to obtain a license from the state.